Gantry type with angle table. 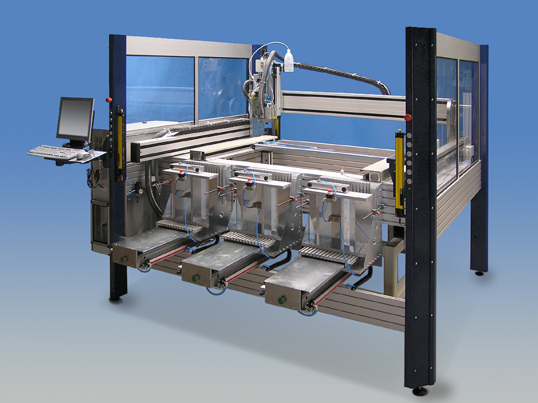 With 3 interchangeable tables for inserting workpieces outside the working area. Additionally motor-driven height-adjustable table and chucking arm. Path feed rate 400 mm per second. Milling area protected by safety light barriers.